Sussex County Administrator Todd Lawson celebrates with Beverly Downs her selection as employee of the year for the county government. 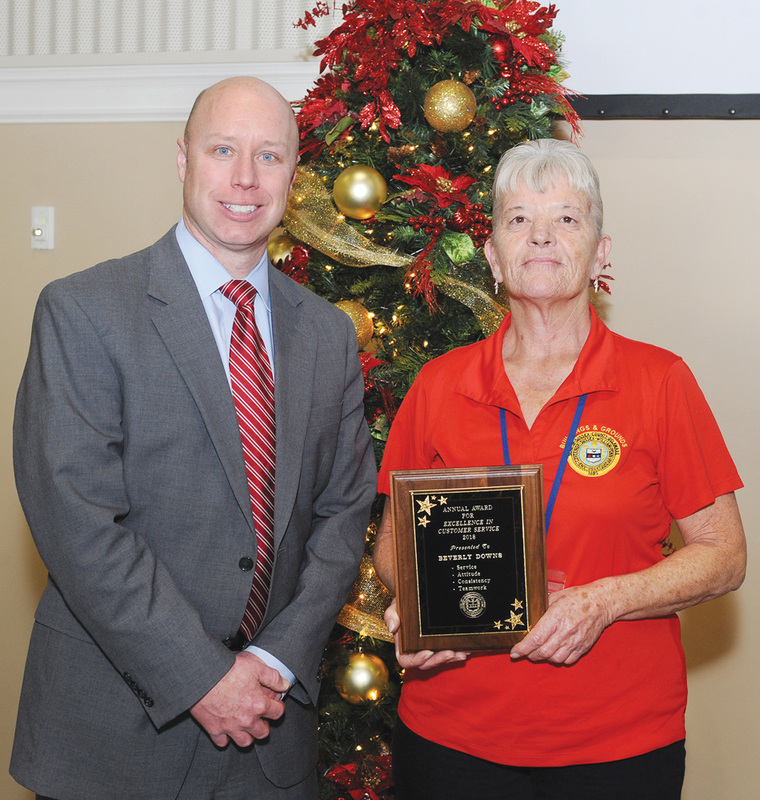 Sussex County government recently named Beverly Downs of Selbyville as its 2018 employee of the year. This year’s winner was announced during the annual Mildred King Luncheon for the County’s approximately 500 employees. Downs was selected for the honor from a field of four employees, all quarterly winners this past year. Downs, this year’s first-quarter winner, received a standing ovation as she was presented with a plaque. County Administrator Todd F. Lawson commended Downs for her four years of dedicated service to County government, which began in December 2014. As lead custodian, he said, Downs is responsible for ensuring the County is always presenting its best face, and with an upbeat attitude and a meticulous attention to detail, she keeps County facilities in tip-top shape so they are clean and inviting for guests and staff. It is pride in her work and her genial nature that have earned Downs the admiration and respect from her peers, Lawson said.